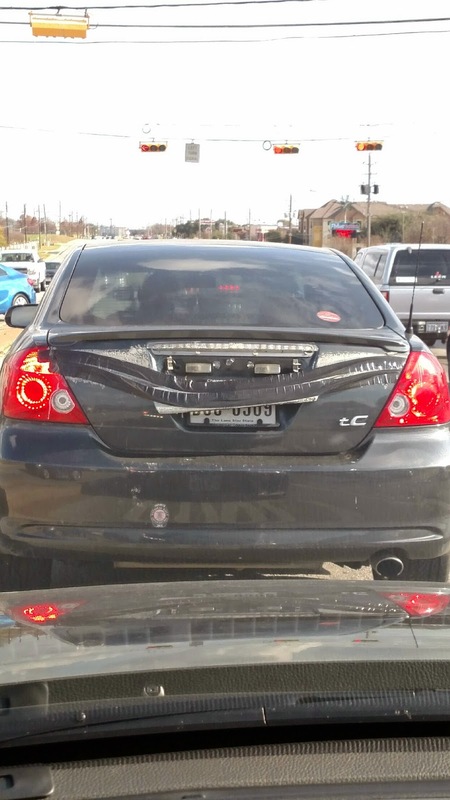 I'm not sure what happened here, but it's an innovative use of duct tape. No picture for this, much to my dismay, but I was coming back from the rink with Eli 13.4 a few days ago and saw a man running down a boulevard. Twenty yards past that arresting moment, we saw a car with one wheel missing. The front passenger side was kissing the asphalt.